User is prompted to activate the license for CODESOFT even though the USB license key is installed. For unknown reasons, the USB key failed to be recognized by the computer. The correct driver (HASP driver) should be automatically downloaded by the Microsoft operating system when the USB key was first inserted. This may not be working properly or the OS is doing the update very slowly. In this case, the driver is able to recognize the USB key (i.e. HASP driver is working). However, CODESOFT may still have a compatibility issue with the driver. CODESOFT, therefore, cannot see the license. 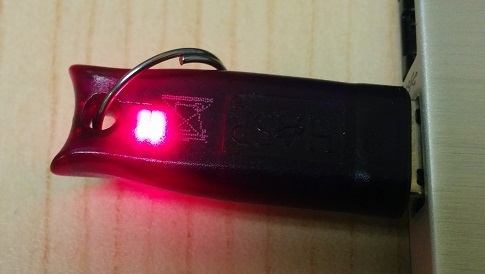 Does the USB Key Light Illuminate?